Prototype: Two Belgian State Railways (SNCB/NMBS) type "Oppeln" boxcars. One car is in a short version, without a brakeman's cab and without a brakeman's platform. One car has a brakeman's platform. The cars look as they did in Era III. Model: Both cars have truss rods, additional steps, and different car numbers. Both cars are individually packaged. Length over the buffers 10.4 cm / 4-1/8" (short version) and 11.3 cm / 4-7/16" (long version). DC wheel set per car E700580. 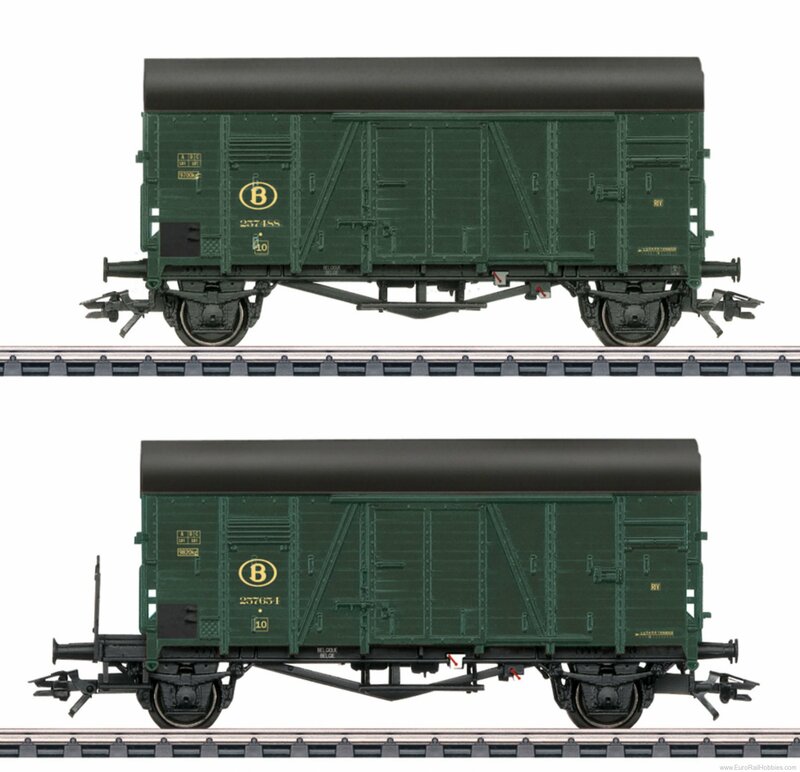 The class 82 steam freight locomotive to go with this car can also be found in the Märklin H0 assortment under item number 37517.